What in the world was going on? 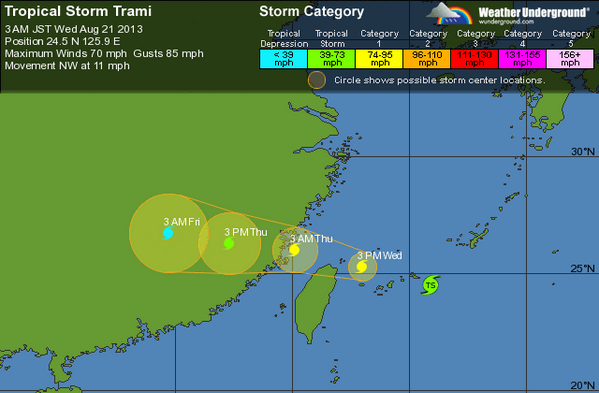 I looked further into the weather situation and discovered …Typhoon/Tropical Storm Trami. 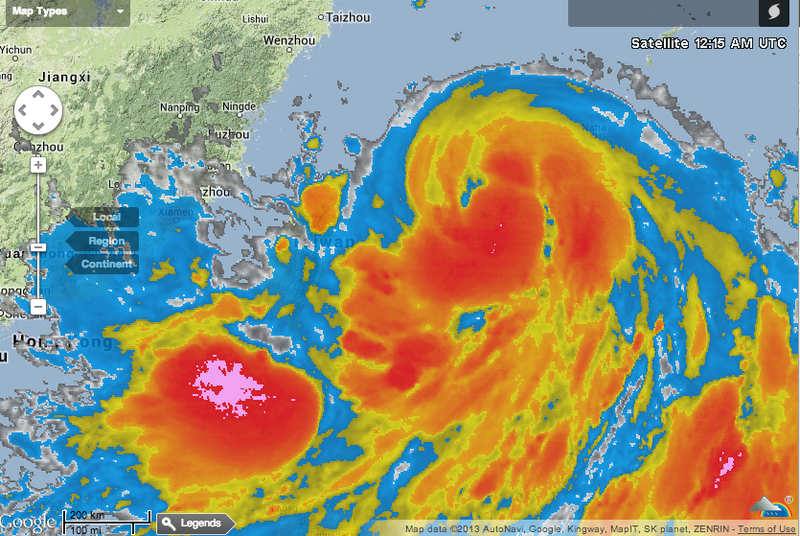 If you look REALLY closely, you can see the “T” in Taiwan on the far left side of the satellite image below. 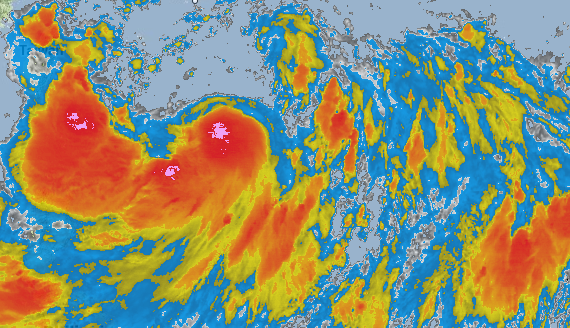 It’s under the upperleft-most red and orange blob. 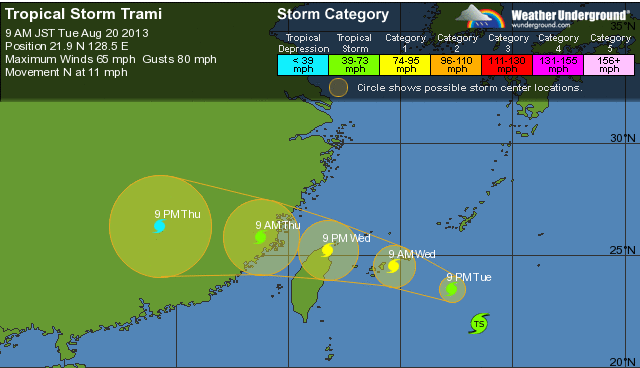 Currently Trami (what a silly name for a storm) is tracking to make landfall on a path that takes it exactly into Taipei. Current forecasts are that it will arrive as either a category 1 or category 2 storm – the difference being the speed of the wind I should expect to see. Regardless of what strength it arrives with – there WILL be rain. A few hours ago the predictions for today and tomorrow were for around 7.5 inches of rain to fall in the next two days. 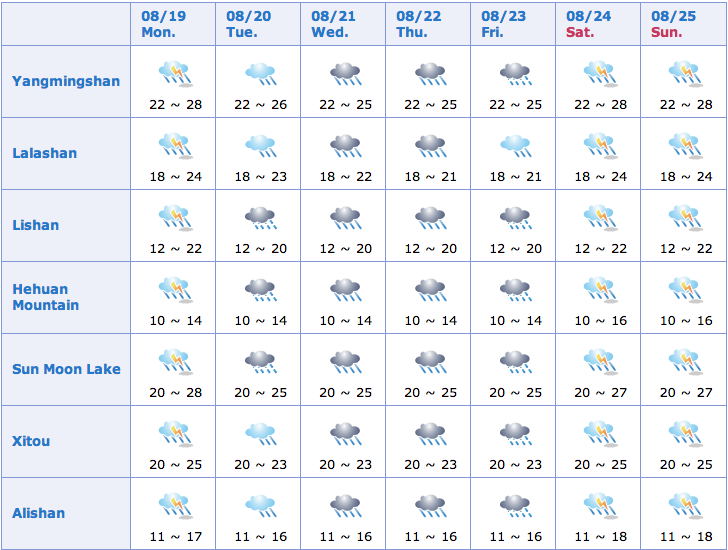 All things considered – I’m pretty excited to scratch “Typhoon” off my ‘natural disasters’ list in the next few days. So, surely this hurricane didn’t exactly sneak up on me right? I most have known it was coming for…oh at least a day or so right? Actually yes – a day exactly. 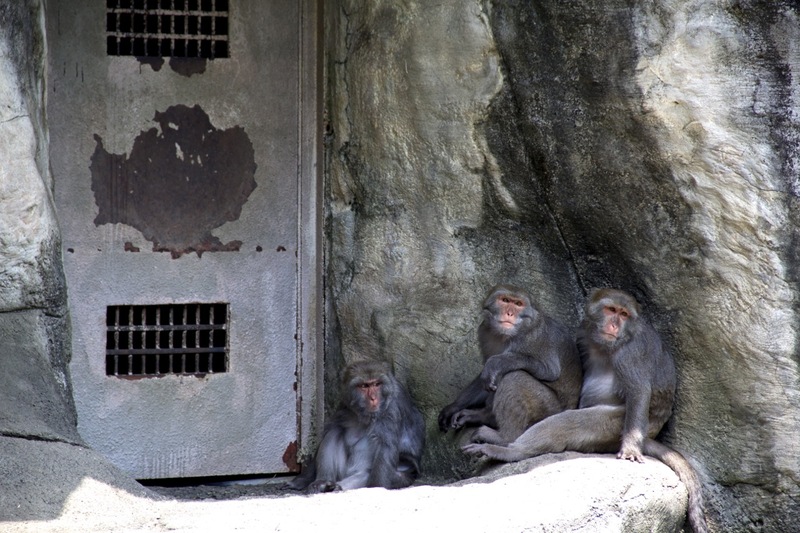 While I probably could have gone out and bought bottles of water, candles, food, and whatever else the people here do when there’s a storm coming…instead I spent the day walking around one of the most pathetic zoos I’ve ever been to and one of the most famous night markets in Taipei. I’m not really sure where to start with the zoo other than to say it was crap. Literally. 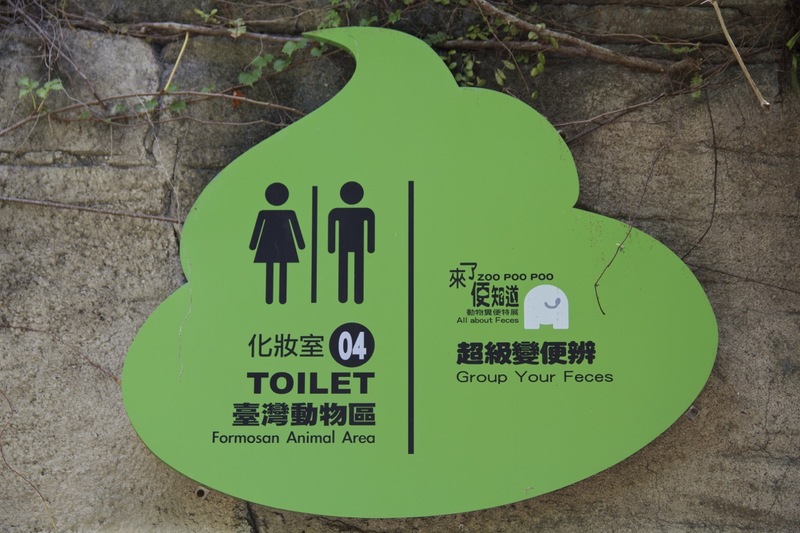 They seem to have a poop obsession there …or a really bad translator. 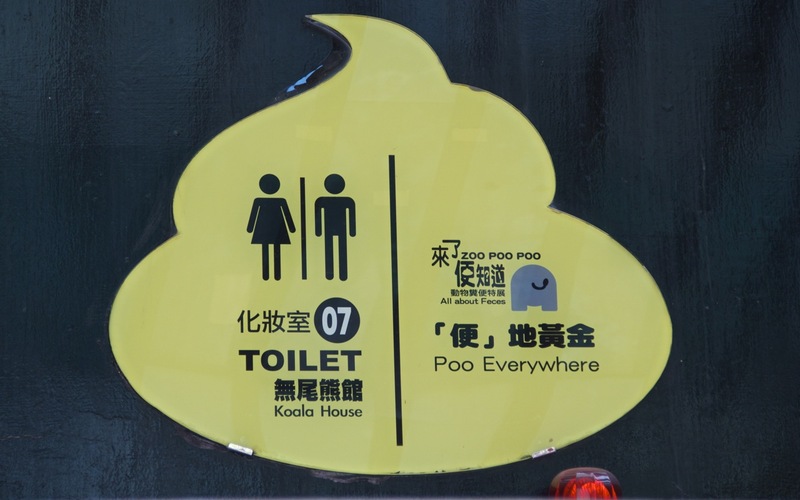 Part of me regrets not going around and finding every bathroom and its respective poop sign. 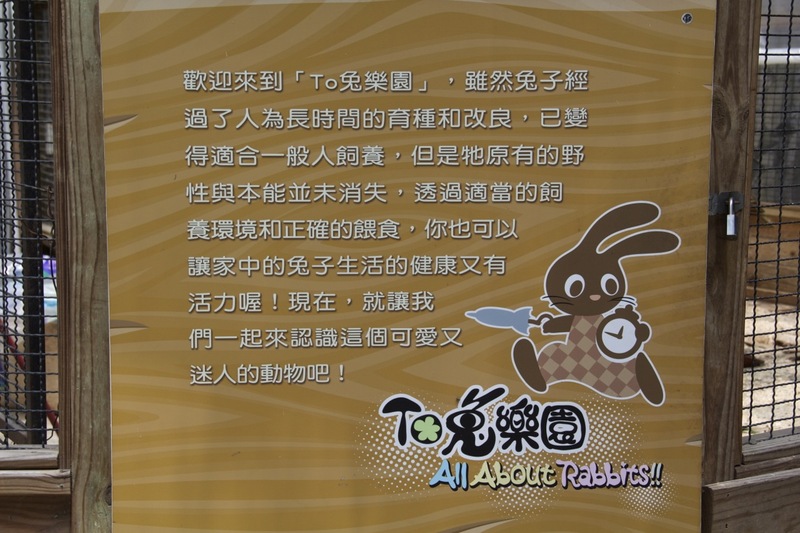 There was an exhibit on rabbits. 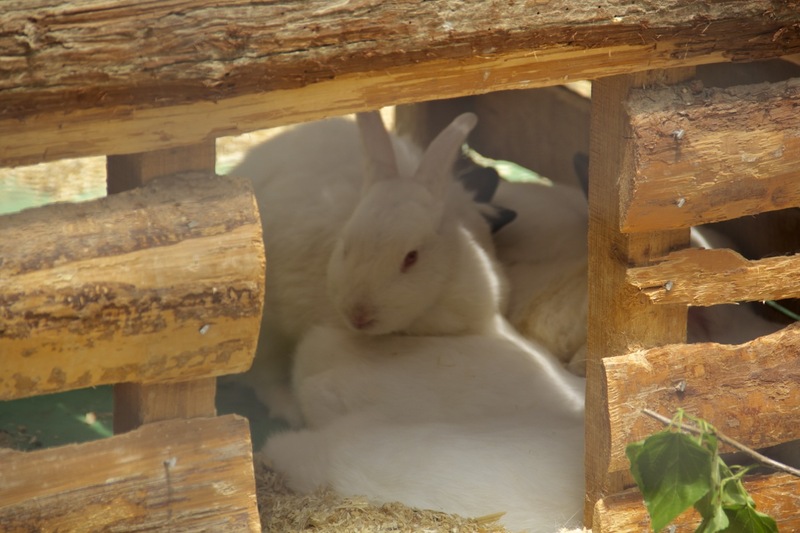 Literally there were about 20 rabbits just hanging out in some rabbit houses and doing nothing. Next up on the, “Can’t see that walking around at home tour,” …a duck. Really, one duck. I don’t know how they stop the duck from just leaving either. 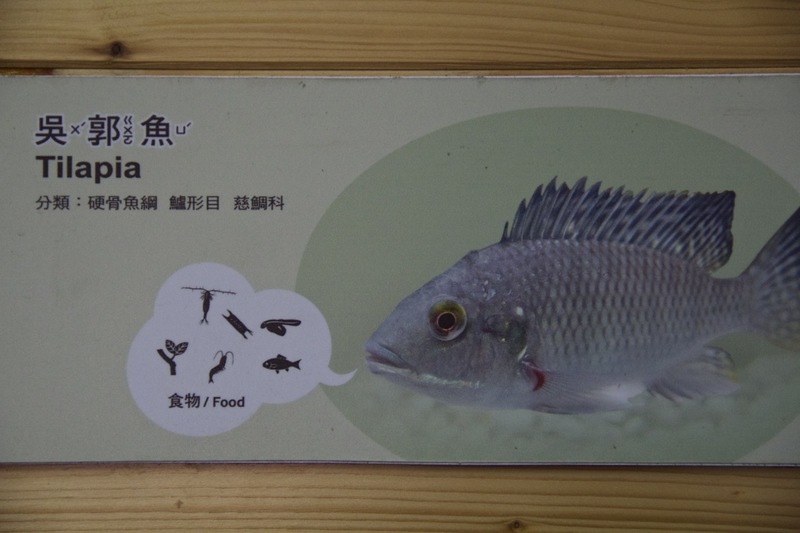 After that, I learned that Tilapia is food. Or at least I think that’s what this sign says. The one they had in an aquarium wasn’t big enough to eat though. 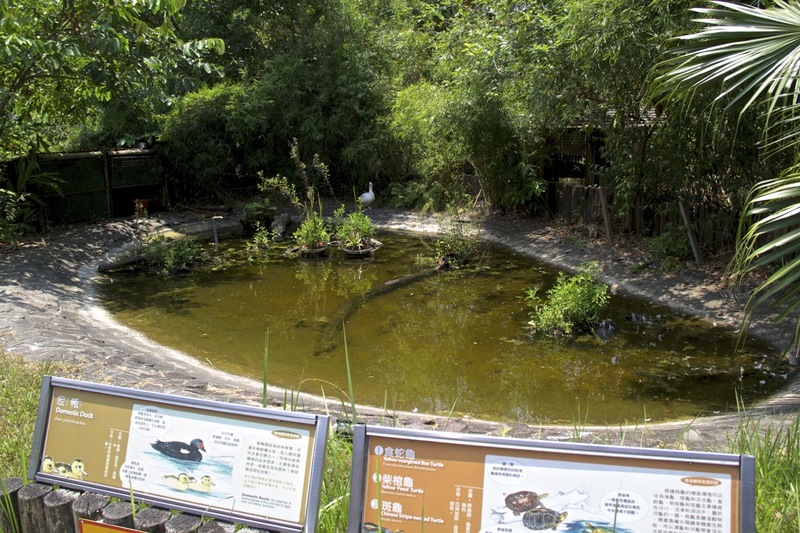 Last stop on the Taiwanese zoo disappointment train was the deer enclosure. Unless I miscounted they have five of them. 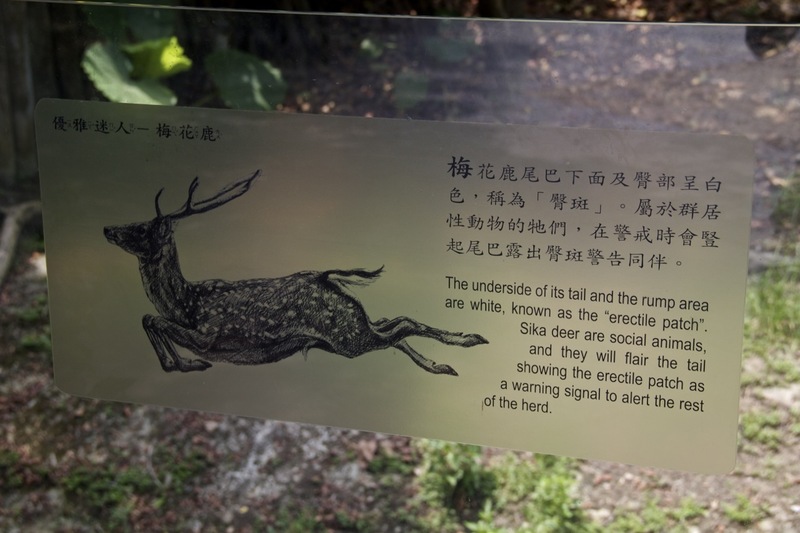 I will say that this sign provided me with more than $2 worth of entertainment though – so overall the cost of visiting the zoo was well worth it. There were two other things that weren’t advertised at the zoo but still highly enjoyable. 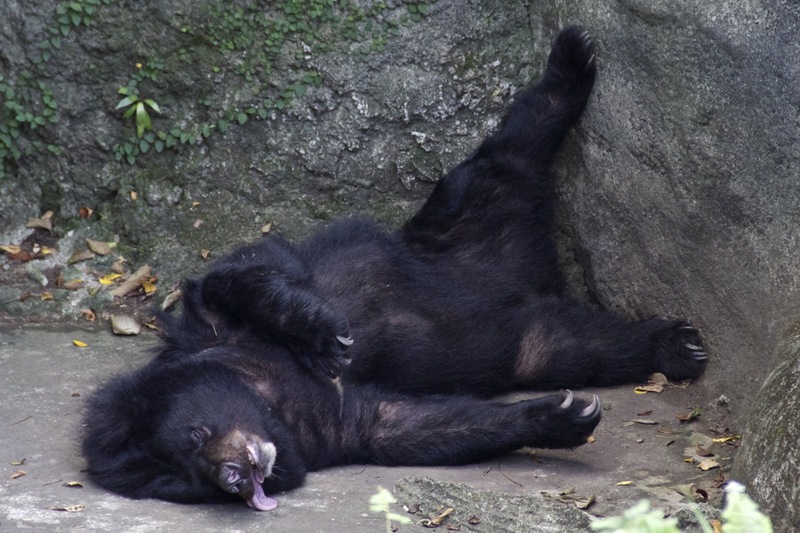 First up – this bear that is either dead or napping. I really hope it was just sleeping. Surely someone would notice a dead bear at the zoo…so I’m assuming that this is the case. 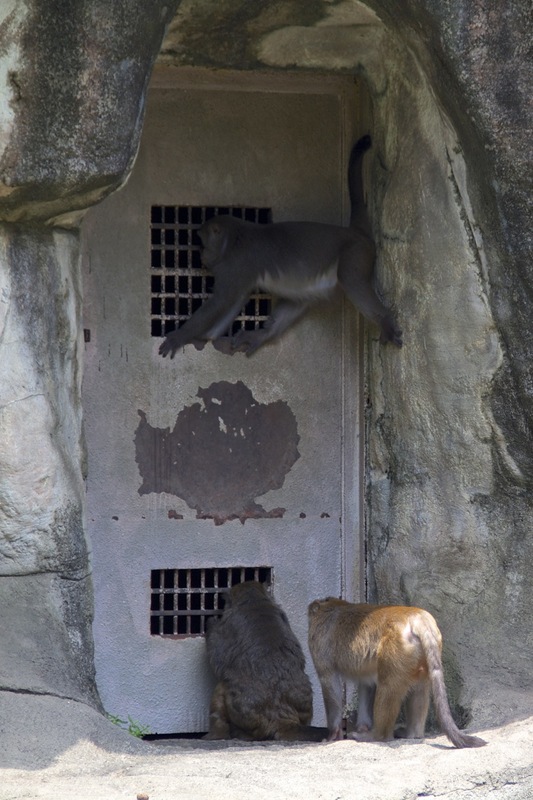 And for a final stop at the zoo – I had my “Planet of the Apes” moment while watching these guys try to get at whatever was behind door number one. A day later (I don’t publish these things often enough), and it’s Wednesday morning and sunny out. Yesterday was a complete wash-out and it really did rain almost the entire day. At the moment it’s sunny out and drizzling, but it’s clear that a fun storm is on the way. The storm is now predicted to go further north than yesterday and ‘only’ hit as a category 1 storm. In the second screenshot – if you look very closely you’ll see Taiwan under the small orange blob in the center of the screen. I’m hoping that when the storm comes I’ll be able to get some really good video and some pictures from the place I’ll be hanging out all day. If so, those will be put online in the next day or two. I’ve also got some photos from one of the local night markets to post soon too. 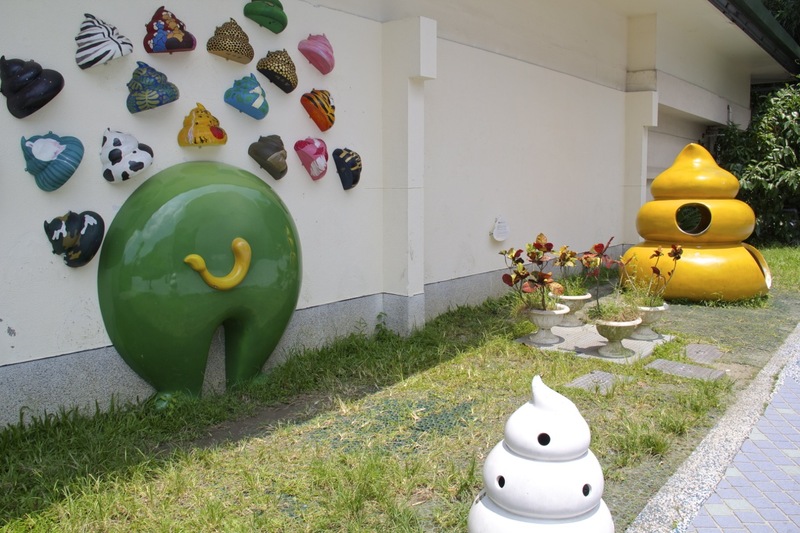 This entry was posted in Taiwan, What's up with Mike and tagged Backpacking, onewaybackpacking, solo travel, Storm Trami, Taipei, Taiwan, Typhoon, Typhoon Trami, Zoo. Bookmark the permalink.